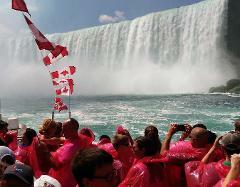 Niagara Falls Small-Group Day Tour from Toronto includes a buffet lunch overlooking the Falls and admission to Hornblower Niagara Cruises boat tour. 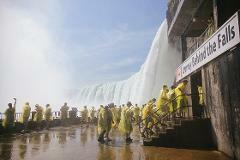 Niagara Falls Small-Group Day Tour from Toronto includes admission to Hornblower Niagara Cruises boat tour. 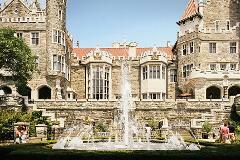 Niagara Falls Small-Group Evening Tour from Toronto includes admission to Hornblower Niagara Cruises boat tour, dinner at Elements on the Falls and a visit to Illumination Tower..
Gems of Toronto Small-Group City Tour includes admission to Casa Loma. Gems of Niagara Falls Small-Group City Tour includes admission to Hornblower Niagara Cruises boat tour and Journey Behind the Falls. 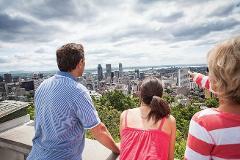 Gems of Montreal Small-Group City Tour includes admission to Notre-Dame Basilica of Montreal.